Weight: Less than 2 kg including the case! 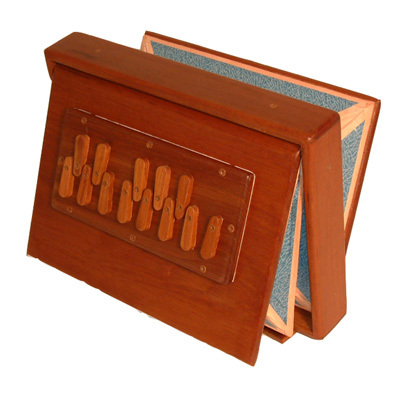 A best quality shruti box from India, with 13 note pitch control, supplied complete with padded vinyl carry case with shoulder strap. This model is beautifully made from solid teak wood, is more compact and portable than most shruti boxes on the market and has better tone. Ideal for supporting vocal work, by providing a drone of the note of your choice. This model is tuned to the popular key of C.
Height: 22 cm, Width: 30 cm, Depth: 6 cm.